Incredible damage, can chunk massive amounts of health very quickly. High damage makes Artemis the best at taking out towers, phoenixes, objectives, etc. Still Target is an essential passive to Artemis and this build. It gives her a 5% critical chance buff for every successful basic attack, up to three stacks. This greatly helps Artemis' damage output and contributes to the success of this build. Transgressor's Fate is an incredibly useful root and cripple. Once landed, you can abuse your passive to land an impressive amount of damage on an enemy, easily killing them in the mid and late game. This can also be used to help block off paths from the jungle into lane, trap enemies at tower, and put beneath you while fleeing enemies. Despite having so many uses, because Artemis uses mana rapidly, I would not recommend getting this ability until you have enough items and levels to use it effectively, and until you no longer need to use your abilities to push lane. I put this ability at 8 in this build, which is late for most players. If you feel like you can use it effectively before this, it can be situational, and upgrading it can be beneficial to that game. Vengeful Assault is Artemis' go-to ability for damage. Increasing your attack speed and movement speed, if used well and you hit most of your shots, you can take out an enemy's health very quickly. Take advantage of any roots, stuns and slows that you and you and your teammates set up with this ability. All of your abilities are good setups into Vengeful Assault. Calydonian Boar sets up a great stun and initial damage for this (which you can sometimes combo into a Transgressor's Fate) and Suppress The Insolent offers a slow which you can take advantage of. While this ability is Artemis' core damage output, upgrading it only provides a slight duration and attack speed buff, and it is less essential in the early game when your damage output with your basic attacks is still lackluster compared to Suppress The Insolent. Note: You can use this ability while exiting the fountain to get to lane faster without losing mana. Suppress The Insolent is Artemis' best early game ability. It provides good poke which you can frequently use with the mana buff during the laning phase. It provides better early game damage output than Vengeful Assault so I would recommend upgrading this first to maximize your lane clear and poke potential (always try to do both at the same time). This ability is also great for killing and slowing retreating enemies, allowing you to take them down with either the damage from Suppress The Insolent or Vengeful Assault. Note: In some cases, you may want more poke damage potential early game and will benefit more by skipping upgrading Vengeful Assault at level 4 and instead upgrading Suppress The Insolent and Calydonian Boar at level 5 to maximize Suppress The Insolent's level as early as possible. Calydonian Boar is what makes Artemis a true threat to the enemy team. Offering a long stun that leaps from enemy player to player and good damage, the Calydonian Boar is a great setup for you to unleash the fury of your attack power. It's great for taking down enemies individually and very helpful for granting you CC immunity and setting you and your teammates up in team fights. Calydonian Boar can also provide you a good escape if being pursued, stunning every player that is pursuing you long enough that you can easily retreat. Don't forget this item's CC immunity! You can escape Hades', Neith's and many other ults by utilizing this. This section is built around the first build above as well as situational items. Do note this build is for a high damage output Artemis against non-league conquest players, thus I mostly do not include as much penetration. This is because The Executioner's passive effect as well as Warrior Tabi's penetration allow you to bypass basic protections relatively easily. More advanced players typically purchase more protections, and thus should be countered appropriately through added penetration in the second build. Do note that the "Unicorn" build does not work as well on Artemis due to her passive Still Target, thus both are traditional crit builds. This item list will go in order of early game to late game items and end with second actives. Devourer's Gauntlet is my preferred starter item for Artemis. Once upgraded you can begin building stacks immediately and the lifesteal provided allows you to take out lane minions while gaining health with your basic attacks, giving you much more sustain in lane. This offers a safer start because it's a cheaper item and provides more health. Soul Eater is an even safer start than Devourer's Gauntlet, providing health and physical protection, without sacrificing attack speed and lifesteal. This item doesn't have the same late game damage potential as the other options, but it does offer a stronger early-mid game which can help Artemis out during her toughest time in the game. Transcendence is a good alternative to Devourer's Gauntlet because it provides better late game power when paired with Asi and gives Artemis a bigger mana pool. However, because of the lack of lifesteal early and the higher price, this leaves Artemis in a dangerously vulnerable position during her early game. Be wary of this, this is a late game investment. Bluestone Pendant is excellent both for wave clearing and as an early game poking tool, in addition to supplying you with additional mana. In general, this is essential for avoiding getting pushed to tower throughout the entire early game. Death's Toll is greater than Bluestone Pendant defensively, offering both better health sustain, and health, but leaves Artemis more mana hungry and making it harder for her to clear waves. Generally this item is better against enemy duo comps that may burst you down very quickly during the early game. Ninja Tabi is essential for Artemis' core, giving her some mobility and attack speed which is generally preferred to Warrior Tabi's additional power. Ichaival works great on Artemis providing attack speed and a passive that really playing into her Still Target. However, I would only pair this with the Devourer's Gauntlet build because otherwise she needs some lifesteal. Asi provides lifesteal, attack speed and penetration making it a must have with the Transcendence build. It's also a pretty cheap item, partially making up for Transcendence's initial cost. However, do note that it's risky to sell this later for Malice since you will then have no lifesteal whatsoever. The Executioner greatly helps Artemis' attack speed, gives additional power and reduces targets' physical protections for three stacks on basic attacks. Sustained but rapid attacks are made even more beneficial with this item, and it only costs 2200 gold. Deathbringer provides great power, critical strike chance and makes your critical hits do 50% more damage. The only drawback is that this item is very expensive, making it a later game buy. Crits will make your damage almost double as you approach late game. Rage will ensure you crit with Deathbringer with its passive and increased crit chance, as well as provide more physical power. If you sell Ichaival, which is bought only because it is a cheap item that provides decent power for the early game, you can then purchase Malice. Triple crit makes your damage intensely powerful and will allow you to tear through opponents with ease. Be wary that many games will end before you can achieve this though. Brawler's Beat Stick gives you greater boxing potential against enemy adcs with its passive as well as good penetration and power. I would recommend replacing Malice with this in your build, but buying it either before or after The Executioner since you will still want this item in the laning phase of the game. Asi can also provide many of the same benefits as Brawler's Beat Stick for boxing other adcs (assuming you went with the Devourer's Gauntlet build not the Transcendence build) if purchased before or after The Executioner but replacing Malice. Its added attack speed, penetration and lifesteal as well as its cheap price can allow you to outpace the other adc. However, be careful, because this can be countered very easily if THEY buy Brawler's Beat Stick. Your actives should be chosen given the situation of the current match you are in. Listed below are my three most common choices, however there are cases in which you should choose whatever best fits the current scenario. Purification Beads are a go-to item whenever faced with enemies that rely on their hard CC such as Hades and Ares, but are still typically necessary to get out of hard CC throughout the match lest you be destroyed after getting hit by a Frost Breath or something of a similar nature. Greater Aegis provides CC and damage immunity. This can be incredibly helpful to combat enemies and teams with high burst potential, as well as quick but powerful ultimates. Aegis Pendant is also an item to consider, but the CC immunity granted by Greater Aegis is typically more useful than movement since I typically prefer this item when facing gods like Ares or Xing Tian. Greater Sprint is an excellent escape tool, as well as a useful tool for getting back to lane. If you'd rather not use sprint as often, but to the greater benefit of your team, Heavenly Agility is also an option. Note: In higher level gameplay it is typically advisable to buy beads as your first active if it is necessary as enemies will know how to pressure better earlier on. Smite's Know your enemy series is great if you're new to a god or just want to make sure you know how all their mechanics work. I'd highly recommend their videos if you're unsure of how to use a god properly. Their Artemis video is here below. Artemis is a relatively strong god throughout the game, but is easily taken down in the beginning. Remember that while you hold kill potential, you also easily have the potential to be killed in the first few minutes. I always begin my matches with Artemis by either starting with Spiked Gauntlet, Bluestone Pendant (or the beginning of Transcendence) and a health or mana potion (depends on support) and head to lane. Take out the attack speed camp with your support (and possibly mid) to get some experience and the attack speed buff so that you can poke the enemy and clear lanes better. You can also use your mana to poke enemies with Suppress The Insolent and follow up with some basic attack hits because of its slow. Unless your duo laner has a lot of waveclear, try to hit enemies and minions at the same time to be the most effective. Always stay behind your support, as you are incredibly squishy, and don't have much sustain during the very early phases of the game. You will not have as good early game lane clear as most other adc's, so it's essential that you push them back with your pokes from Suppress The Insolent. Spiked Gauntlet should give you enough lifesteal to have sustain as long as your mana doesn't run out, but your mana potion is useful if you're in a pinch. Once Calydonian Boar is ready, if you have poked your enemies enough, try to take one of them out by activating it and going in on them. Be wary of extending yourself too far up lane though, as you are very prone to getting ganked. If venturing towards the enemy tower, always make sure to have your sprint (and possibly Vengeful Assault for additional movement speed) ready. Once you have used up your mana, or are low on health, return to base, do not try to stay lane with Artemis (you will be very prone to being killed). You should try to maintain the laning phase like this with your support buying wards for you until you have successfully gotten all your stacks for Devourer's Gauntlet and have destroyed the first enemy tower. However, if there is a good opportunity to gank the mid lane, take it! Most mid laners are squishy, and a quick Calydonian Boar, Vengeful Assault and Suppress The Insolent if they're still making an escape, can easily take one down with full health. However, once they've been killed, always make sure to flee the scene of the crime. Otherwise, the other team's jungler will be on top of you so fast your boar will turn to bacon. By mid game Artemis should have some power that comes with her attacks. If still pushing lane, keep in mind that you can cut off some jungle routes with Transgressor's Fate as well as place it beneath you if an enemy is pursuing you from close behind to escape. Because you can take down towers so fast with Vengeful Assault, it is necessary that you help your team take down enemy towers, whether that means continuing to push your duo lane or helping them once they've arrived at tower. Try to keep Calydonian Boar ready if pushing duo lane's second tower in the mid game. Your escapes make you fast, but once used up you're pretty much helpless. You will also be incredibly good at taking out jungle camps, Gold Fury and Fire Titan by this phase, so if your team is going for GF or FT, make sure to join them. You can even take on Gold Fury yourself once it's closer to late game if you're brave enough because your Devourer's Gauntlet should give you enough lifesteal to survive. Do note that this lifesteal can easily heal you if you attack jungle camps and enemy minions, so if you get targeted in a team fight and have to retreat, if you still have pretty full mana, you can often times just attack a jungle camp and rejoin the fight. During this phase, it can also be beneficial to act more as an assassin if you have leveled up and the other team is vulnerable. Artemis is incredibly good at ganking enemies in lane, so feel free to take advantage of any enemies pushed too far into your team's territory. 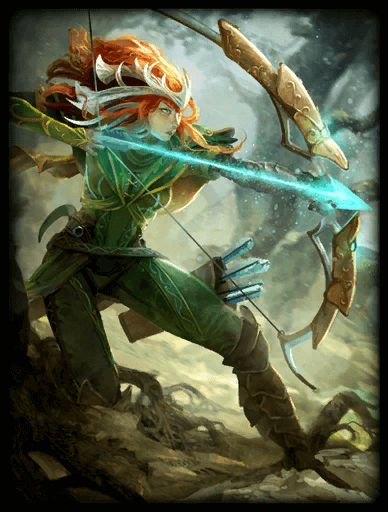 By late game Artemis is capable of dealing massive amounts of damage very quickly to both enemies and objectives. If you see the Gold Fury is alive, take it down yourself. If you see an enemy is pushing too far into your teams territory, take him down. If you see a phoenix is vulnerable, take it down (at this point this can be accomplished with less than a full Vengeful Assault. Any and all towers and phoenixes can be taken incredibly fast by Artemis once she's reached close to full build, so focus them before anything else. In team fights, your role is to poke with Suppress The Insolent as well as use Calydonian Boar to quickly take out one, two, three or more enemies. The Executioner will have given you the power to also take out incredibly bulky gods very fast, so it's primarily your job to take out gods like Sylvanus and Ymir (unless it is higher level (eg: league conquest) play in which case you should just focus the squishier gods regardless). However, you should still be incredibly wary of taking damage from enemy gods. You are incredibly squishy, in general you should be playing closer to the fringes of any given teamfight, but close enough so that your teammates can peel enemies off of you if necessary. Once the enemy team's titan is vulnerable, pounce on it. If you avoid being targeted by it, you can even easily take down the enemy titan with your massive attack damage. 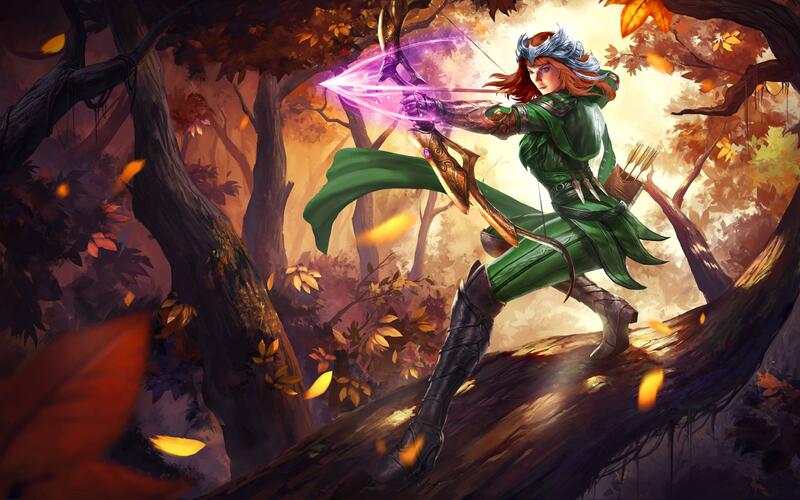 Artemis is truly one of the deadliest gods in Smite. She can deal more damage over a two second time period than pretty much anyone else in the game, and that makes her one of my favorite gods to play. I hope you enjoyed reading this guide. If you liked it, make sure to give it a vote. Happy smiting! This guide (like some others) is in need of a bit of an update (namely using Soul Eater rather than Asi for the trans build, and using Bluestone Pendant). However, I do use Ninja Tabi for a reason. In the main build, you're meant to sell Ichaival late game for Malice thus leaving you without that extra 30% attack speed. While the difference between Ninja Tabi and Warrior Tabi with Vengeful Assault is negligible at this point in the game, you will be getting more dps when Vengeful Assault is not active with Ninja Tabi when using triple crit, which is a fair amount of the time. Warrior Tabi still gives a slightly better early game, but if I'm going triple crit, then I'm putting my focus on the late half of the game. You should use Warrior Tabi with the Transcendence build though, idk why I put ninja there. As for your build, you shouldn't need Hastened Fatalis late game since you can shred people with Vengeful Assault before they get out of your range. There's no real reason that you need to be able to stick to targets, you should force people to come within your range by focusing objectives and then punishing them once they do. Even for kill potential, you can still rely on your team late game to kill escaping targets, that's not really your job (your mobility isn't much). The only times I consider Hastened Fatalis is for other gametypes like joust 3v3 and assault since your team comp won't often be able to fill the same gaps in your kit as they would in conquest, leaving you with the role of pursuing escaping enemies more often. I'd also avoid going Malice and Deathbringer. Idk why I have Malice in my second build, but Rage gives you better and more consistent dps. 101707 Zilby This guide (like some others) is in need of a bit of an update (namely using [[soul eater]] rather than [[asi]] for the trans build, and using [[bluestone pendant]]). However, I do use [[ninja tabi]] for a reason. In the main build, you're meant to sell [[ichaival]] late game for [[malice]] thus leaving you without that extra 30% attack speed. While the difference between [[ninja tabi]] and [[warrior tabi]] with [[vengeful assault]] is negligible at this point in the game, you will be getting more dps when [[vengeful assault]] is not active with [[ninja tabi]] when using triple crit, which is a fair amount of the time. [[warrior tabi]] still gives a slightly better early game, but if I'm going triple crit, then I'm putting my focus on the late half of the game. You should use [[warrior tabi]] with the [[transcendence]] build though, idk why I put ninja there. As for your build, you shouldn't need [[hastened fatalis]] late game since you can shred people with [[vengeful assault]] before they get out of your range. There's no real reason that you need to be able to stick to targets, you should force people to come within your range by focusing objectives and then punishing them once they do. Even for kill potential, you can still rely on your team late game to kill escaping targets, that's not really your job (your mobility isn't much). The only times I consider [[hastened fatalis]] is for other gametypes like joust 3v3 and assault since your team comp won't often be able to fill the same gaps in your kit as they would in conquest, leaving you with the role of pursuing escaping enemies more often. I'd also avoid going [[malice]] and [[deathbringer]]. Idk why I have [[malice]] in my second build, but [[rage]] gives you better and more consistent dps. You should replace Ninja Tabi with Warrior Tabi cause of your huge steroid. I dont think we want too much base attack speed merely because its a crazy 75% attack speed steroid, which is huge with crits, including her passive. And honestly supports can make or break your laning phase significantly. Especially early EARLY game, where you are so vulnerable. I feel like her three needs a buff in terms of scaling. Its so low and a buff in just that ability can help her a lot. 101698 GameGeekFan You should replace [[ninja tabi]] with [[warrior tabi]] cause of your huge steroid. My new build is as follows (after who knows how long of testing) Dev Gloves [[warrior tabi]] [[the executioner]] [[deathbringer]] [[hastened fatalis]] (so I have more juking potential, steroid or no) [[malice]]. I dont think we want too much base attack speed merely because its a crazy 75% attack speed steroid, which is huge with crits, including her passive. And honestly supports can make or break your laning phase significantly. Especially early EARLY game, where you are so vulnerable. I feel like her three needs a buff in terms of scaling. Its so low and a buff in just that ability can help her a lot. Not every god should need an escape to be viable, in no other moba but smite is that the case. If they diversified gods' kits more she wouldn't need an escape to be viable. If they upped her early game numbers a bit she'd be in a much better spot in some metas. Honestly, she's still uber strong late game, but currently we're in an early game meta so she wouldn't be viable even if she did get buffed. 101254 Zilby Not every god should need an escape to be viable, in no other moba but smite is that the case. If they diversified gods' kits more she wouldn't need an escape to be viable. If they upped her early game numbers a bit she'd be in a much better spot in some metas. Honestly, she's still uber strong late game, but currently we're in an early game meta so she wouldn't be viable even if she did get buffed. If they gave this Goddess an escape would she be viable. And what move with the Artemis players be willing to give up? Just a fun question to ask. I feel like she's that God everyone loves but doesn't play. 101253 iReauxbot If they gave this Goddess an escape would she be viable. And what move with the [[Artemis]] players be willing to give up? Just a fun question to ask. I feel like she's that God everyone loves but doesn't play. I like how with this build you can literally kill the titan in around 3 seconds with no help . _ .
Zilby, a quick question when you get a free moment. How does your Artemis build and skill order change (if any) when you are playing Arena? Personally I dislike playing Hunters and Assassins in Arena (tbh Arena's always been my least favorite gametype aside from Joust 3v3). However, I can still give advice based on the times I have played and seen what works best. In terms of skill order, I would probably still level up Suppress The Insolent since Vengeful Assault really needs to scale from your items. I would however level up transgressors fate a bit earlier for added survivability. In Arena, stacking items tend to be a nuisance more often than not. If you're going to stack, get Devourer's Gauntlet early on (don't get Transcendence since you don't need mana with base so close and don't get Heartseeker since it will be nigh impossible to keep the stacks), but I would much rather recommend Bloodforge or Asi for lifesteal. Aside from that though, my build would be pretty similar. Since you're not stacking you may want to grab Ninja Tabi first. If you want a build similar to the main build, try just replacing Devourer's Gauntlet with Bloodforge, Arena doesn't change the build's effectiveness. If you decide that you want something more similar to the Transcendence build, try just replacing Transcendence with Brawler's Beat Stick, Jotunn's Wrath or even magi's blessing for added survivability later in the build (before The Executioner for the power items, after Deathbringer for magi's blessing). 92002 Zilby [quote=Ace5789] Zilby, a quick question when you get a free moment. How does your Artemis build and skill order change (if any) when you are playing Arena? [/quote] Personally I dislike playing Hunters and Assassins in Arena (tbh Arena's always been my least favorite gametype aside from Joust 3v3). However, I can still give advice based on the times I have played and seen what works best. In terms of skill order, I would probably still level up [[suppress the Insolent]] since [[vengeful assault]] really needs to scale from your items. I would however level up [[transgressors fate]] a bit earlier for added survivability. In Arena, stacking items tend to be a nuisance more often than not. If you're going to stack, get [[devourer's gauntlet]] early on (don't get [[transcendence]] since you don't need mana with base so close and don't get [[heartseeker]] since it will be nigh impossible to keep the stacks), but I would much rather recommend [[bloodforge]] or [[asi]] for lifesteal. Aside from that though, my build would be pretty similar. Since you're not stacking you may want to grab [[ninja tabi]] first. If you want a build similar to the main build, try just replacing [[devourer's gauntlet]] with [[bloodforge]], Arena doesn't change the build's effectiveness. If you decide that you want something more similar to the [[transcendence]] build, try just replacing [[transcendence]] with [[brawler's beat stick]], [[jotunn's wrath]] or even [[magi's blessing]] for added survivability later in the build (before [[the executioner]] for the power items, after [[deathbringer]] for [[magi's blessing]]). Good luck! 91990 Ace5789 Zilby, a quick question when you get a free moment. How does your Artemis build and skill order change (if any) when you are playing Arena? Thanks for making that awesome guide! 90654 QcPacmanvdl Definitely the best build ever for artemis, proof here : https://onedrive.live.com/redir?resid=66df022343f47529!3349&authkey=!AB2DNqWY5CEjrPs&v=3&ithint=photo%2cpng Thanks for making that awesome guide! I tried your build and it's nice, unfortunatly i had a really bad supp and i got gank every 5minutes. Artemis really shine when she's fed but it seems some supp don't know that. So îm gonna try it again and hope the game will be better. Personaly, i do love Hastened Fatalis on hunters, u can do some nice trick shot and i can chase like a démon, That's how the huntress goddess should be, never letting go her pray and lose her suiters. 88701 Tazxman I tried your build and it's nice, unfortunatly i had a really bad supp and i got gank every 5minutes. Artemis really shine when she's fed but it seems some supp don't know that. So îm gonna try it again and hope the game will be better. Personaly, i do love [[hastened fatalis]] on hunters, u can do some nice trick shot and i can chase like a démon, That's how the huntress goddess should be, never letting go her pray and lose her suiters. Still looking for a good Artemis build, i'm gonna give a go to yours :). But, here is the build i had the most success with. i also don't take any other atk speed item cause with asi and fatalis onlly, i cap at 1.78 (don't remember exactly) attack/s and that is enough cause with artemis steroid, i go up to 2.5. I personally am a fan of Hastened Fatalis, but not on hunters. In almost all games I find that you're sacrificing too much power in your late game (especially since this build has almost NO penetration) even if you're a bit more potent during the mid. Additionally since you're not really roaming a whole lot and weaving in and out of teams, the movement speed goes a bit to waste, and the passive can be easily replaced by sprint and Vengeful Assault (and you usually need sprint as an escape regardless). On the other hand, if Hastened Fatalis really fits your playstyle go for it, Smite isn't all just about build stats, you're more likely to do better with builds that really work for you. 88682 Zilby [quote=Tazxman] Still looking for a good Artemis build, i'm gonna give a go to yours :). But, here is the build i had the most success with. [[Devourer's Gauntlet]] [[Warrior Tabi]] [[Asi]] [[Hastened Fatalis]] [[Deathbringer]] [[Rage]] I kinda like double lifesteal on artemis, like that i can stay longer on fight when my shot connect and thanks to fatalis i can keep my distance from my ennemies and dodge most of the other adc auto-attack (or ult). When i happened to be fed, i can easily win 3vs1 like that. Unfortunately, this build don't pack a lot of power so against high prot/high health targets i have some hard time unless all my shots are critical. And since i'm the total counterpart of Gladstone Gander... i never crit when i need to xD i also don't take any other atk speed item cause with asi and fatalis onlly, i cap at 1.78 (don't remember exactly) attack/s and that is enough cause with artemis steroid, i go up to 2.5. [/quote] I personally am a fan of [[Hastened Fatalis]], but not on hunters. In almost all games I find that you're sacrificing too much power in your late game (especially since this build has almost NO penetration) even if you're a bit more potent during the mid. Additionally since you're not really roaming a whole lot and weaving in and out of teams, the movement speed goes a bit to waste, and the passive can be easily replaced by [[sprint]] and [[vengeful assault]] (and you usually need sprint as an escape regardless). On the other hand, if [[Hastened Fatalis]] really fits your playstyle go for it, Smite isn't all just about build stats, you're more likely to do better with builds that really work for you. The biggest advantage to building this way is that you should be able to have Asi and Short Sword finished by the time they have enough gold for The Executioner. Getting Asi online earlier gives you that extra pen and lifesteal as well as a higher attack speed, meaning you will most certainly outbox them possibly even after they have The Executioner finished up until full build. I honestly don't build an ADC without Brawler's Beat Stick since Season 2 started. The passive is just huge when boxing the enemy ADC. You can also be a gigantic pain in their rear by buying Shield of the Underworld XD. I feel as though normally Artemis' weakest point of the game is her early game, so using a build that helps her in that area and lets her get to her late game faster could definitely be advantageous. My personal playstyle is more reserved in the beginning and more aggressive towards the end, but tbh your playstyle probably makes more sense in competitive play. 88681 Zilby [quote=KamikazeKitty] The biggest advantage to building this way is that you should be able to have [[Asi]] and [[Short Sword]] finished by the time they have enough gold for [[The Executioner]]. Getting [[Asi]] online earlier gives you that extra pen and lifesteal as well as a higher attack speed, meaning you will most certainly outbox them possibly even after they have [[The Executioner]] finished up until full build. I honestly don't build an ADC without [[Brawler's Beat Stick]] since Season 2 started. The passive is just huge when boxing the enemy ADC. You can also be a gigantic pain in their rear by buying [[Shield of the Underworld]] XD. [/quote] I feel as though normally [[Artemis]]' weakest point of the game is her early game, so using a build that helps her in that area and lets her get to her late game faster could definitely be advantageous. My personal playstyle is more reserved in the beginning and more aggressive towards the end, but tbh your playstyle probably makes more sense in competitive play.